The Toronto Real Estate Board (TREB) has released sales statistics for resale residential real estate for May, 2014. Sales volume set a record this May with an 11.4 percent increase over the same period last year, with a total of 11.079 transactions. Also, with an average MLS selling price of $585,204, prices gained an average 8.3% year-over-year. With the spring market now at peak, demand continues to be very strong for single family detached homes. In Toronto, the average price was $943,055 versus $648,439 in the surrounding GTA areas. In the surrounding GTA areas, sales volume for detached homes was up an incredible 15.2%. Pickering had an exceptionally strong showing this month, with a composite gain of 10.01%, compared to the TREB average of 7.08%. Other strong areas were Clarington (+9.86%) and Markham (+9.43%). Inventory levels are still very tight with 2.4 months of inventory on hand across the board. This means that a current sales levels, all of the property would be bought up in the GTA in 2.4 months (if no new listings were added). Many areas within the GTA have similar figures, but Durham Region still has some marked differences. Overall, there is only 1.7 months inventory in the region. In Ajax, there are just 1.2 months inventory, and 1.3 months in Oshawa and Whitby. 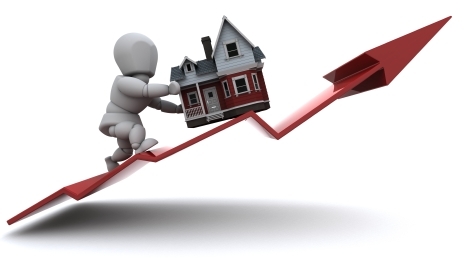 For many home types and price ranges, properties continue to be snapped up at a rapid pace. The average listing in Oshawa spends just 17 days on the market, Whitby is 16, Ajax is at 16 and Clarington at 18. The TREB average is 21 days, and 19 days in York Region. In north Durham (Scugog/Uxbridge), the inventory figure is now 3.9 and 4.4 months, with a higher days on market average, as well (23-44 days).